Mixed breeds had their champion in Roo!, a dog so high-spirited that she'd been adopted and returned to an animal shelter several times before San Francisco-based dog trainer Stacey Campbell took her home about seven years ago. Barking avidly as she waited to be the last dog to run, the lanky husky mix zipped through the course to cheers from the crowd at Pier 94 in Manhattan. 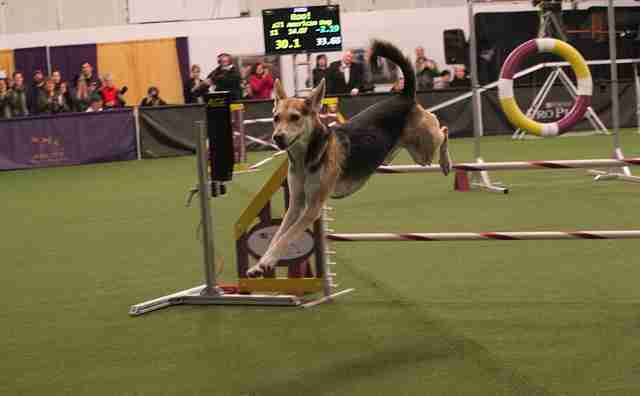 All-American dogs will not be allowed to compete in this year's coveted Best In Show competition, but Westminster's decision to include mixed-breeds in the agility event is a welcome change for many dog-lovers and animal rights activists. 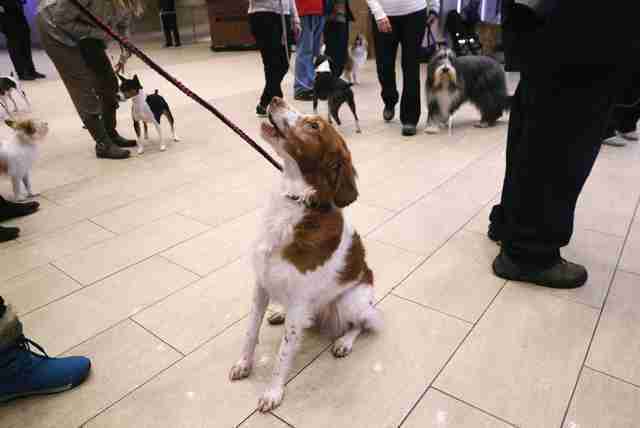 "It just shows that you don't have to go get a breed to get a dog," Campbell told the AP. 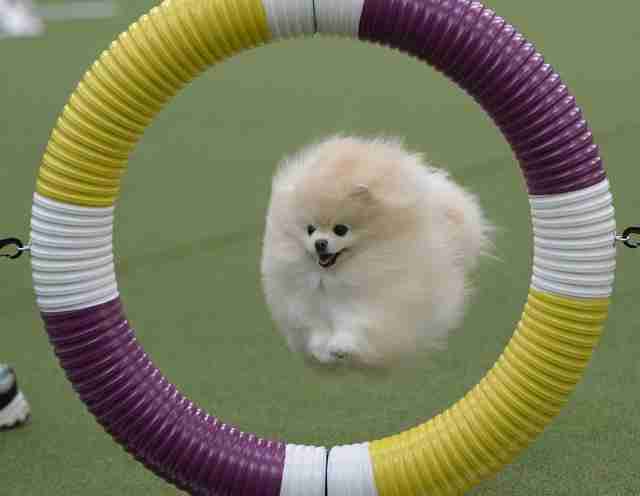 "Any dog can compete in agility." 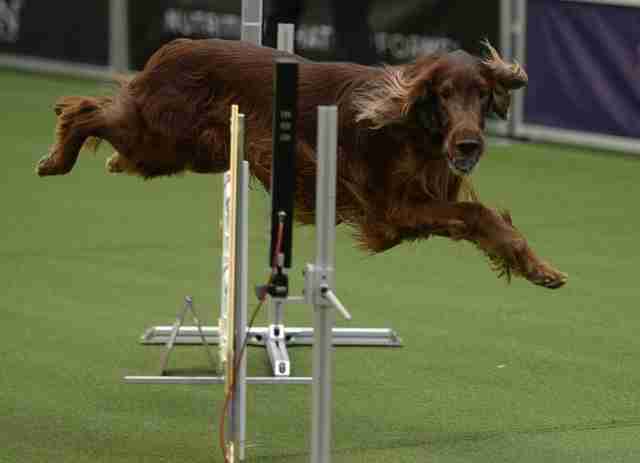 An Irish Setter running the Westminster obstacle course. Roo! 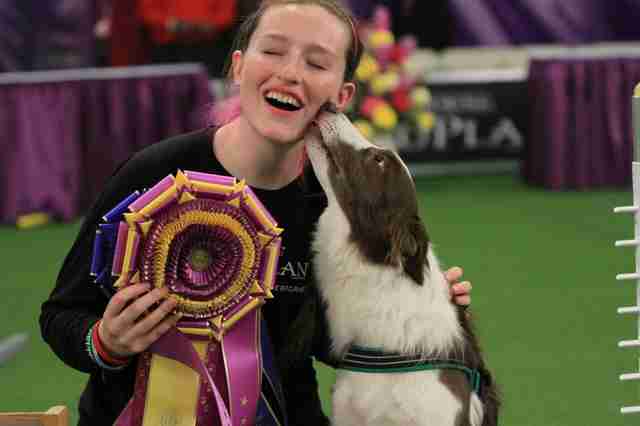 is the first-ever All-American mixed-breed agility champion. 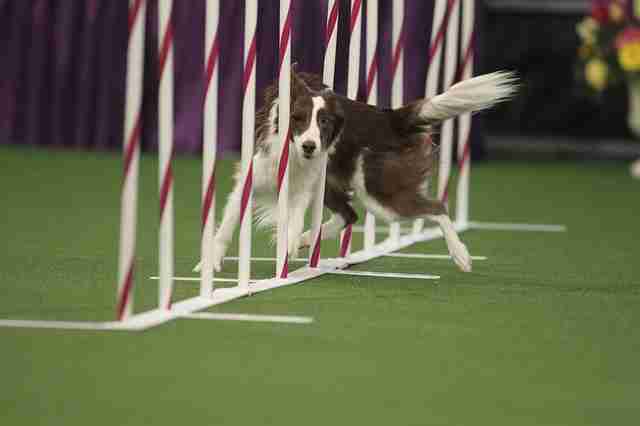 Kelso, a seven-year-old Border Collie, is the first-ever all-around agility champion. Kelso and his owner following the dog's big win. 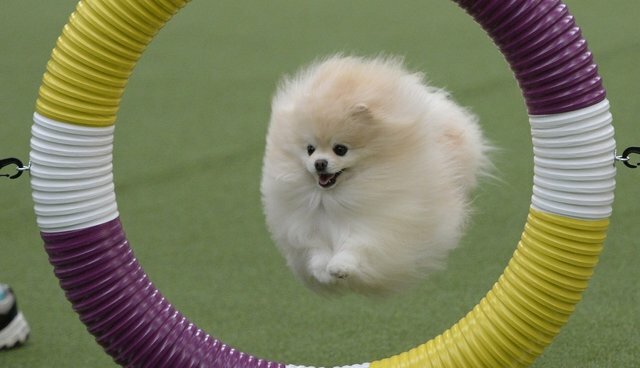 A pomeranian in the throes of competition.